Former Seminole State College Trojan baseball players joined campus, community and SSC Educational Foundation leaders last week at a meeting of the Fund Raising Committee for the College’s new Brian Crawford Memorial Baseball Complex. Former Trojan Coach Lloyd Simmons and current Trojan Coach Dax Leone are serving as Co-Chairs of the Committee. 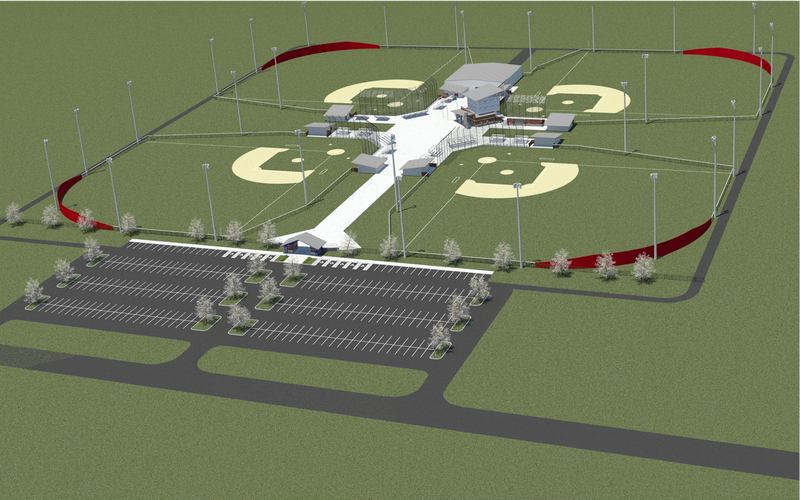 Additionally, the Seminole Tourism Council has committed $100,000 over a two-year period to support the new baseball complex and the City of Seminole has committed approximately $450,000 in construction assistance for this project. The support of these three agencies has allowed the SSC Foundation to expand plans from a single stadium to a multi-field, variable function, quadraplex. For more information about the Foundation’s fundraising efforts for the new SSC baseball complex, please contact Dr. Utterback at 405-382-9555 or Educational Foundation Advancement Coordinator Autumn Wiles at 382-9506.